For the first time visitor to India or for those returning Indo-philes who have limited time available to them, this is the ideal Indian journey. 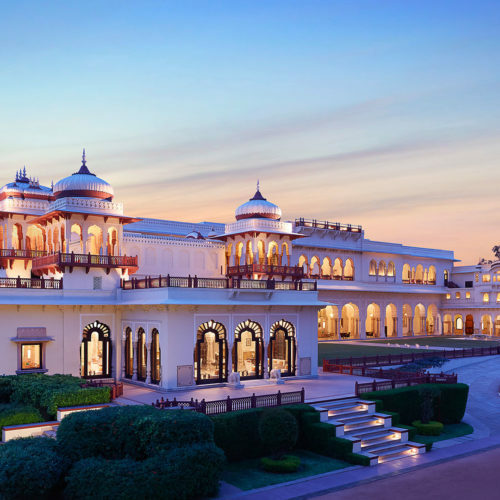 Contrary to many other 'introductory' tours, this journey has the added highlight of a visit to one of India's most romantic cities - Udaipur, home to the glorious Taj Lake Palace Hotel. 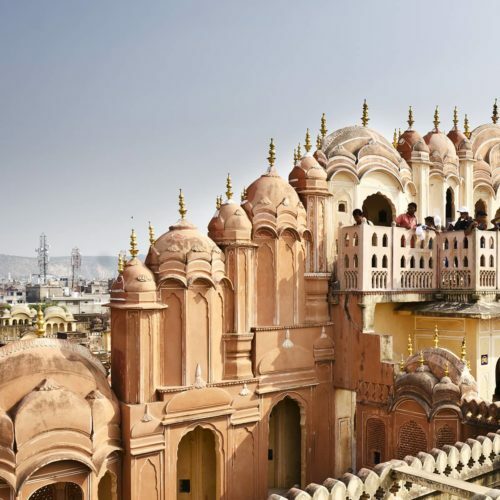 After this gentle start, travel to Rajasthan's bustling capital city of Jaipur before proceeding to Agra and Delhi. Replete with marvelous forts, palaces, markets, monuments redolent with history, this short itinerary offers a remarkable insight into the country. Arrive India's capital city of Delhi. On arrival stay at The Imperial Hotel. 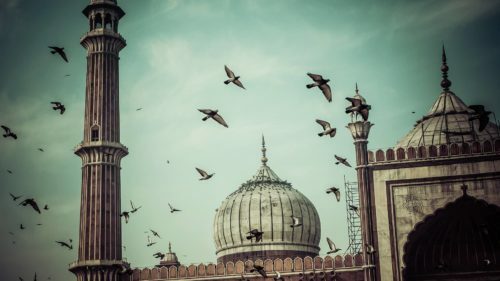 After a leisurely start, explore the myriad sights of Old and New Delhi. The wide boulevards of Lutyens' New Delhi contrast dramatically with the narrow streets and scattered monuments that dominate Old Delhi. 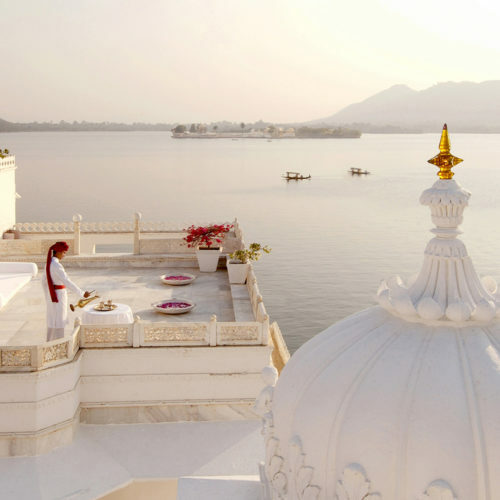 Morning flight to Udaipur and stay 2 nights at the stunning Taj Lake Palace Hotel. Afternoon tour of this beautiful lake city. Full day excursion to the exceptional Jain Temples at Ranakpur. Lunch will be at the Mountbatten Lodge and later return to Udaipur. Morning flight to Jaipur. 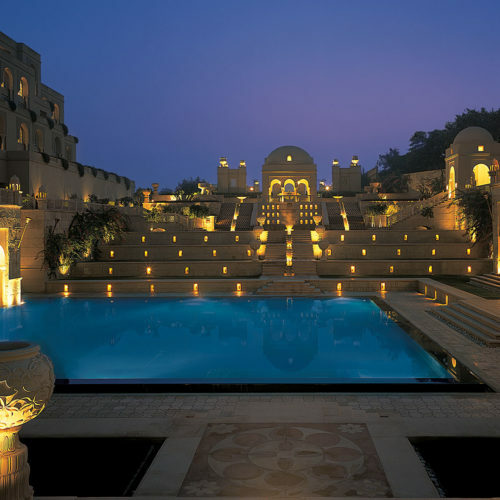 On arrival in Jaipur enjoy a 2 night stay at the Taj Rambagh Palace Hotel. Morning drive past the Hawa Mahal (Palace of the Winds) and continue to Amber Fort. Ascend to this hilltop fort on elephant back. Return to the hotel for lunch. An afternoon exploring the 'Pink City', the bustling metropolis that is Rajasthan's capital, seeing the Observatory and the City Palace. Morning drive to Agra via one of India's most glorious sites - the deserted city of Fatehpur Sikri. 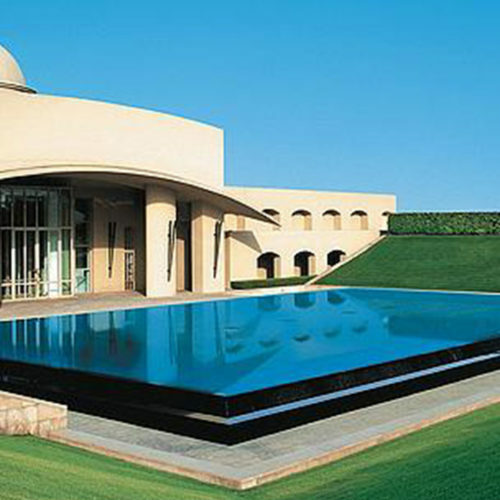 On arrival in Agra, stay 2 nights at ITC Mughal. Dawn visit to the Taj Mahal which is strikingly beautiful at this hour. 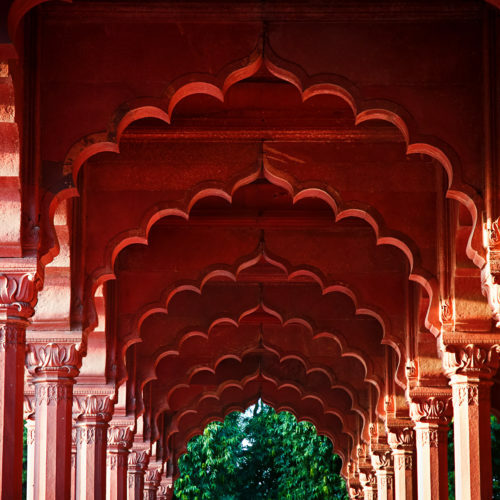 Continue with a full day tour exploring Agra, seeing Agra Fort and Itmad-ud-daulah. Morning drive to Delhi via Akbar's imposing mausoleum at Sikandra. On arrival transfer to JW Marriott Aerocity.